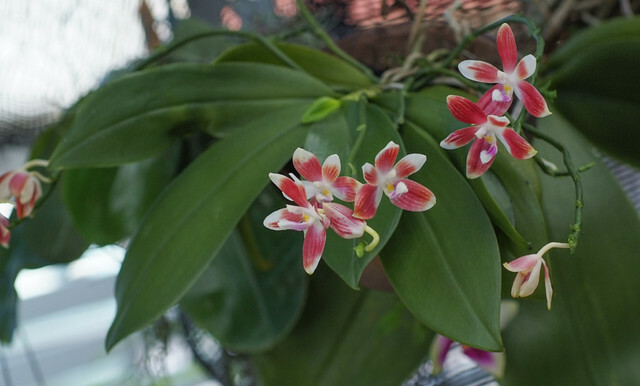 My Phalaenopsis speciosa has produced multiple, continuous spikes with unique flowers that add more character to this very likeable species. 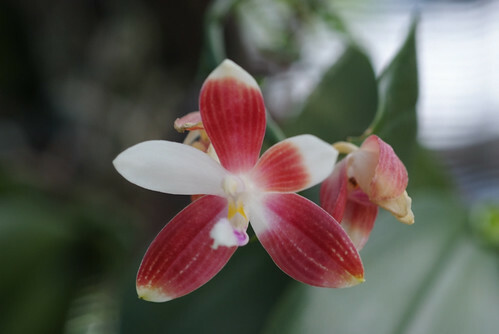 Each of the pristine white flowers bears red markings and no two are alike. Whatever comes next is like discovering puppies in a litter. Markings come in bars, splotches, and patches. On cooler, rainier days, pure white petals will dominate. On warm to hot days, red-brown markings will dominate, and the flowers will look like they’ve been dabbed with a watercolour paintbrush. 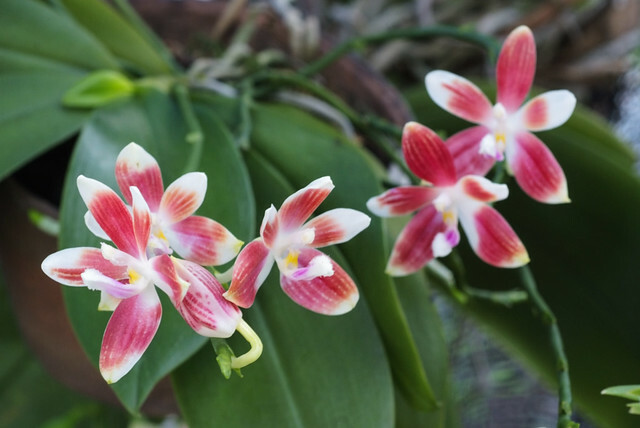 Phalaenopsis speciosa was formerly known as a variety of phalaenopsis tetraspis. 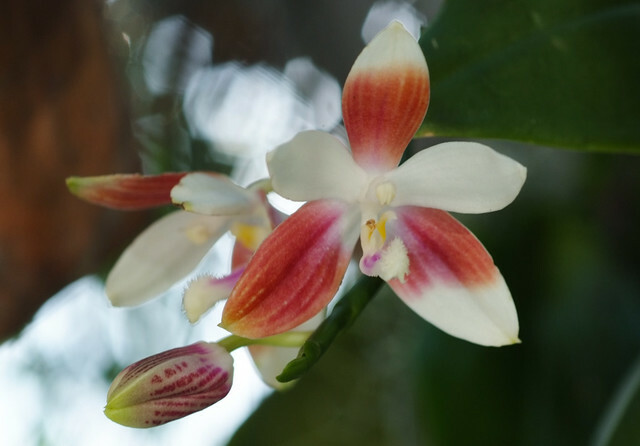 Phalaenopsis speciosa likes lots of water and can be grown mounted on a tree-fern slab or hardwood. If grown in a pot like I do, I would recommend hanging or tipping the pot at an angle so that the leaves fall naturally sideways.